John Tory is a hero to Toronto for having the guts to back an idea guaranteed to be unpopular. No one likes taxes or tolls. The big picture is that automobiles powered by internal combustion engines are planet killers. We need them now because we have no viable alternatives. It is essential that we work to limit their use. The people who live in the 905 obviously have few alternatives to get into the core of Toronto, so driving for many is a forgone conclusion. Part of the beauty of the tolls is to discourage auto use and to encourage Torontonians to live in the city. These road tolls are inevitable, Toronto really has no choice, all large cities will have to face this reality. The longer we dally on the implementation of appropriate transit the more expensive and out of reach it will be come. We need funds immediately to allow for transit growth. Property tax growth through the mill rate is folly as property assessments have doubled or more over the last 5 years. The city is reaping enormous new property tax revenue. If we want to fund transit to the 905 and within the 416 toll roads are part of the answer. We need to put away our petty, personal, selfish needs and help make Toronto a city that will survive for the long term. 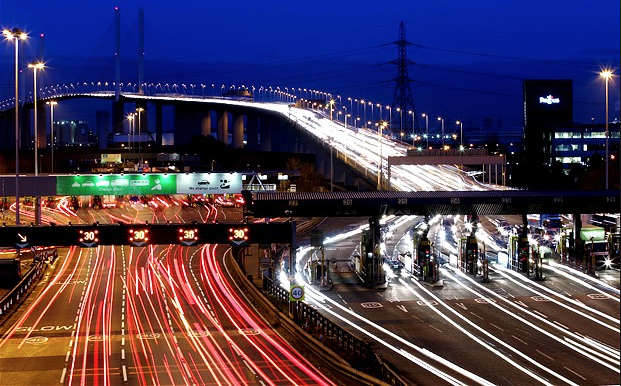 Many other world class cities such as Stockholm, Singapore, London, Santiago, Boston, and New York have all implemented tolls or levies on vehicles to help ease congestion and increase revenues for transit. If Toronto wants to keep up we need to do the same. Maybe we should take a page out of Tokyo’s book and privatize the transit expansion. Private industry will get this done in no time.